It looked as if Jean Paul Gaultier wanted to stress the origins of the Hermès fashionlabel. 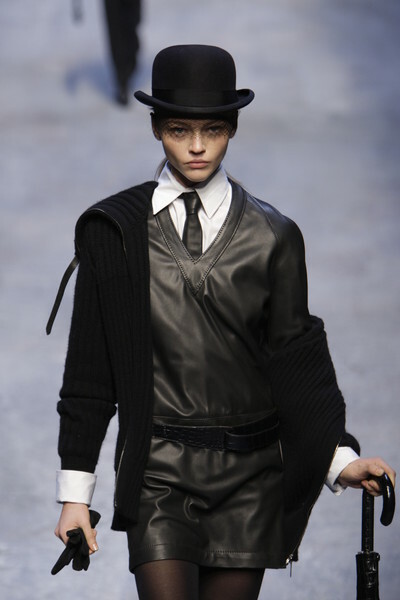 There was leather everywhere in the collection, which was inspired by the British 60’s television serie The Avengers. A not-too-great-looking Lily Cole opened the show in a black leather pantsuit, zipped on the front. The rest of her outfit was made from leather as well: shoes, belt, gloves, bag. 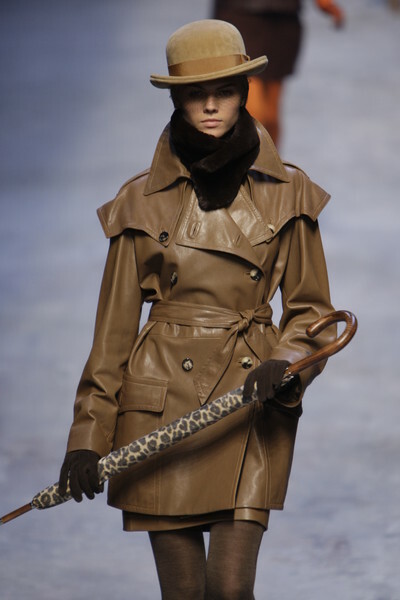 Even her bowler hat and umbrella could easily have had some leather parts. 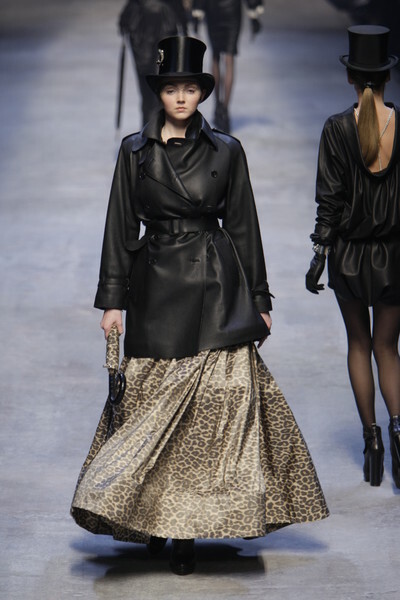 Some crocodile leather followed, on a skirt, a belt, a pair of trousers and a jacket. After that, the leather designs became so thick they seemed more appropriate for men. Especially when the (leather!) ties and the extra-wide pants came by, the show got a very masculine feeling. 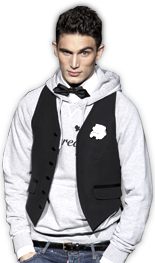 Fortunately shades of light gray, camel and brown softened the looks. Just when one of the models came on carrying a New York Times under her arm (slightly pushing Suzy Menkes, who works for the newspaper, to write a good review on the show). 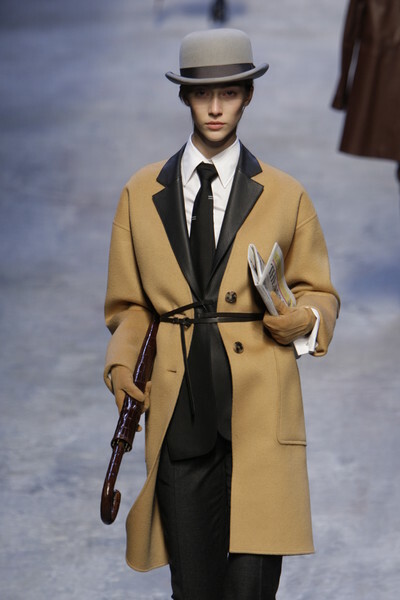 Most of the woolen coats that followed, had leather collars in a different shade. 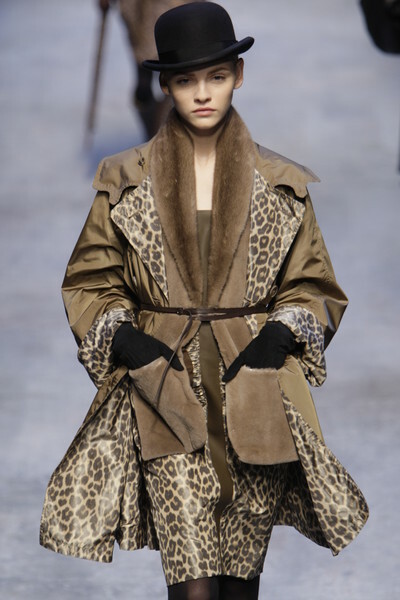 A beige toggle coat popped up out of nowhere, shoulders were accentuated by leather parts and a long leopard printed skirt was seen from under a stiff leather jacket. And though we were happy most labels temporarily said goodbye to this specific animal print it later came by on several dresses, a coat, a blouse and even on one of the two hoop skirts. There was so much animal material in this collection any PETA activist would have gone mad watching this show. Even we could hardly handle the amount of leather JPG sent off on the runway. Yet we did get very inspired on how many ways there are to wear it.